While the youngsters are chipping away towards making a name for themselves in development camp, the Flyers’ arid offseason continues with little developments. Other teams throughout the Metropolitan Division, however, have been more active. But does free agent aggressiveness necessarily give a team a leg up on the ice? Here is Part I of a look at the seven other teams in the division, and how the Flyers stack up against them. First up, the defending Metropolitan Division Champion Pittsburgh Penguins. Despite a superlative 51-24-7 mark for the 2013-14 season, the Pens were only one of three teams in the Metropolitan that the Flyers carried a winning record against. And while the Sidney Crosby era in Pittsburgh hasn’t been kind to Philadelphia overall, the tables have certainly been turned in recent years. Last season, the Flyers were dominant against their cross-state rivals, winning four of five meetings. Convoluting enough, Philly not only won their last four straight match-ups, they continued to enjoy playing at CONSOL Energy Center, winning in all three contests there. “I know the boys in this dressing room love playing against them,” said Flyers goalie, Steve Mason, after sweeping a home-and-home against the Pens in March. “Whether we’re in their head or not, we don’t really care. Whether the Flyers were, in fact, in Pittsburgh’s heads or not, certain factors resulted in Philly’s dominance over a team that is considered head and shoulders above the Flyers. The Pens either rested certain key components of their roster later in the season against the Flyers, or missed action due to injury. Pascal Dupuis, James Neal, Chris Kunitz, Kris Letang, and Paul Martin all played only two of the five games. Those five players combined for eight points against the Flyers, despite combining for 186 points for the entire season. Furthermore, Paul Martin was one of 10 Penguins who played in at least two games in the season series and failed to record a point. But that’s not to say the Flyers beat up on a defenseless, banged up Pittsburgh team entirely. Olli Maatta was one of four to play in all five games, only to come away with a goose egg in the scoring department. He and Brandon Sutter, Tanner Glass, and Deryk Engelland were all held scoreless, while combining for a minus-13 plus/minus rating. On the flip side, only Braydon Coburn, Adam Hall, Michael Raffl, Zac Rinaldo, and Erik Gustafsson were the only Flyers to play in at least three games in the season series without recording a point. Much of Philly’s success against their bitter rivals, again, are due in large part to their success playing in CONSOL Energy Center. 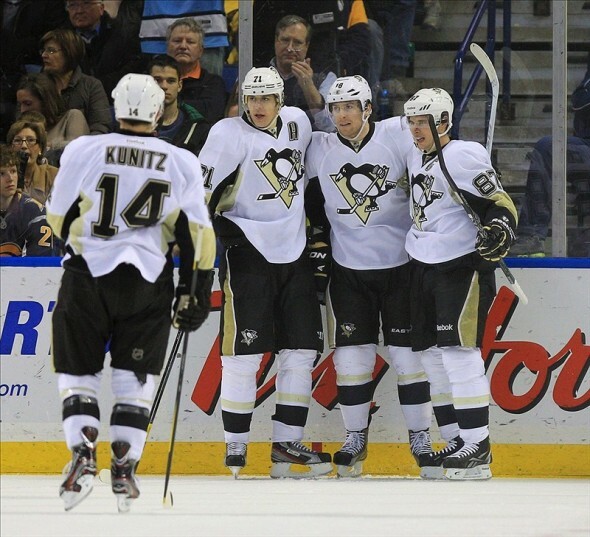 When the two teams meet again next season, the Penguins will have a moderately new look. After blowing a 3-1 series lead against the New York Rangers in the Eastern Conference semi-final, Pittsburgh’s latest early departure from the playoffs triggered a chain of action that demonstrated the organization’s non-acceptance of the team’s playoff performances over the last five years. Fired were GM Ray Shero, along with head coach Dan Bylsma. The two were replaced by former Hartford/Carolina GM Jim Rutherford, and former WHL head coach Mike Johnston. With Shero fired before Bylsma, that change in direction also included Bylsma, who succumbed to five disappointing playing exits after winning the Stanley Cup in 2009. Bylsma was 43. Johnston, Desjardins are 57. Doug MacLean was older than that. Rutherford either wanted more experience … or father figure. Bylsma firing right after Rutherford hiring. Can't help but think Rutherford was brought in mafia-style as "the cleaner." 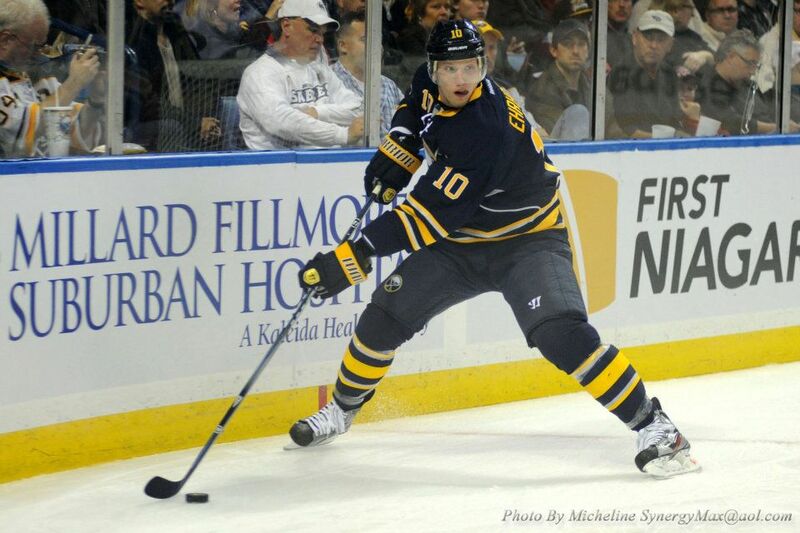 After Bylsma’s goodbye, Rutherford wasn’t finished subtracting from last season’s roster. The former Stanley Cup winning GM allowed both, Matt Niskanen and Brooks Orpik to walk via free agency, while trading away the polarizing James Neal. While Niskanen and Orpik teamed up together in Washington for the price of an oil company, Rutherford chose to retain only half of last season’s trade deadline acquisitions in Marcel Goc. The other half, Lee Stempniak, remains available on the free agent market. Goc stands to be the only unrestricted free agent to be retained. Unlike the Flyers’ mundane start to the free agency period, the Pens were quick to the punch. After losing two key components to their already thin blue line, Rutherford cannon balled the pool by nabbing former Sabres defenseman, Christian Ehrhoff. 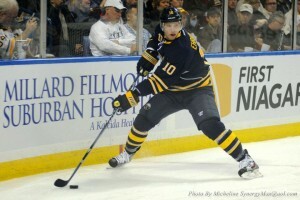 At 32, Ehrhoff has plenty of productive hockey left in his 6-2, 196-pound frame. “The Penguins have been looking for some help on D for the past few years and do they ever get it with Ehrhoff, especially at a very friendly price. And for Ehrhoff the fit must have been simply ideal as well because he could have undoubtedly received much more than that if he went elsewhere, he was one of the hottest commodities as soon as he became available. Ehrhoff’s one-year, $4 million deal is not only team-friendly, it’s a steal for a defenseman that made his team better when he was on the ice. Ehrhoff’s +4.8% Corsi REL playing for the league’s worst team proves just that. Rutherford’s other free agent signings include, Steve Downie, Blake Comeau, Taylor Chorney, and Thomas Greiss. Downie, now a two-time former Flyer, was influenced to sign with Philly’s bitter rival after the Pens named Rick Tocchet as an assistant coach before the free agent frenzy. While Downie gives the Pens an edge they’ve lacked, Rutherford and Tocchet are certain he won’t be a problem for the team. Downie’s bouncer-like mentality has to be refreshing to the front office’s ears, even if they haven’t said so. That’s because Rutherford’s first major transaction occurred at this year’s NHL Entry Draft. 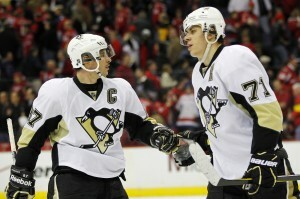 It was there that the Pens traded forward James Neal to the Nashville Predators for Patric Hornqvist and Nick Spaling. Based on Neal’s career statistics against Hornqvist’s, it may appear that the Preds came away as the victors. But Hornqvist is now projected to play alongside Evgeni Malkin, which will more than likely boost his scoring numbers. Let’s not forget, the 27-year-old Swede is coming off of a career year, in which he notched 53 points. While the offseason is far from over, Pittsburgh has unquestionably made the necessary moves to better their team. And while the Flyers currently stand idle because of salary cap issues, the matchup between the two teams heading into next season may have changed. If it has, though, it’ll have to be proven. With Sean Couturier serving as Pittsburgh’s kryptonite, Marc-Andre Fleury has struggled immensely against the orange and black of late. Despite his 3-2-1 record against the Flyers over the span of the last two seasons, Fleury can thank Claude Giroux and Jakub Voracek for his team’s struggles. Throughout the last two seasons, Giroux tallied 13 points, while Voracek added 11 points. “Claude Giroux and Jakub Voracek have been the team’s best forwards over the past few weeks and always seem to bring their “A” game when opposing the Pens. Prior to being held scoreless in the Flyers’ 2-1 win over Pittsburgh on Nov. 13, Giroux had eight goals and 12 assists during a 10-game point streak vs. the Penguins — including playoffs. Other factors will most definitely determine how the season series between the two turn out. Pens captain, Sidney Crosby, will be coming off of wrist surgery, while the Flyers will head into the new season with familiarity in Craig Berube’s “defense first” mentality. Rutherford and the Pens, however, have done what they can to close the recent gap against the Flyers. And with Downie in the rival’s uniform, the rivalry is sure to be just as, if not more, physical than it’s been in year’s past. One major question will burn until the rivals meet: can R.J. Umberger’s hometown of Pittsburgh hate him in place of former Flyer, Scott Hartnell?